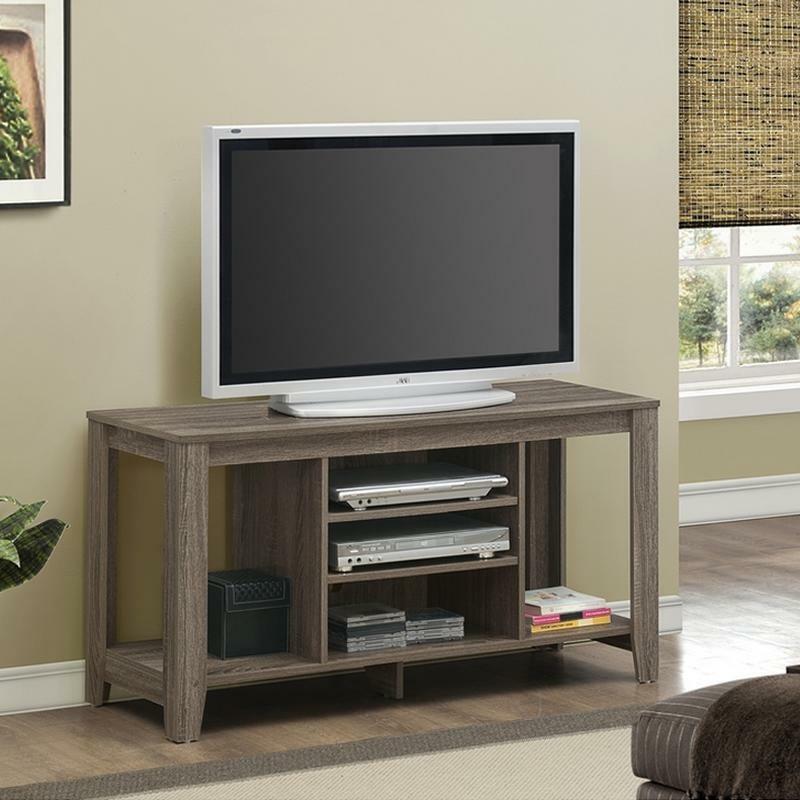 This 48" long TV console will be a fashionable addition to your living room, offering clean lines and ample storage space. 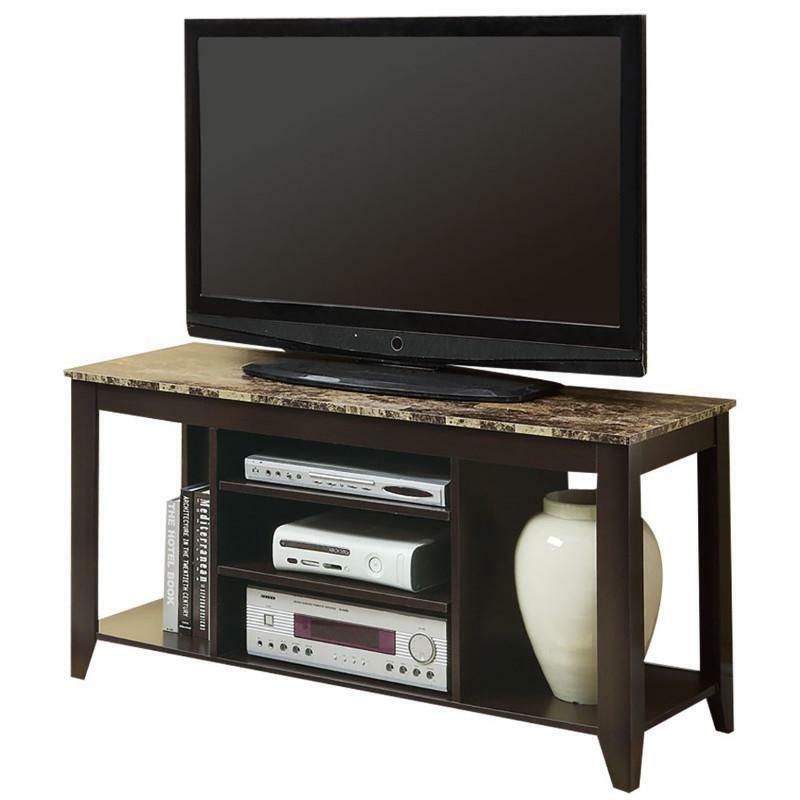 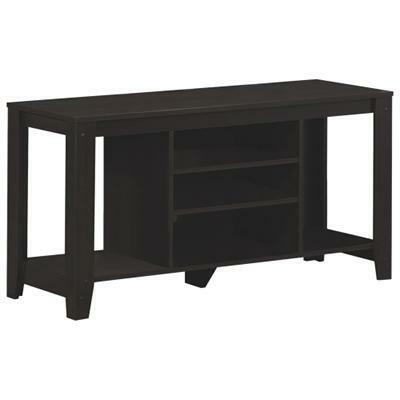 The transitional style TV stand has a rich cappuccino finish and wide surface for your television. 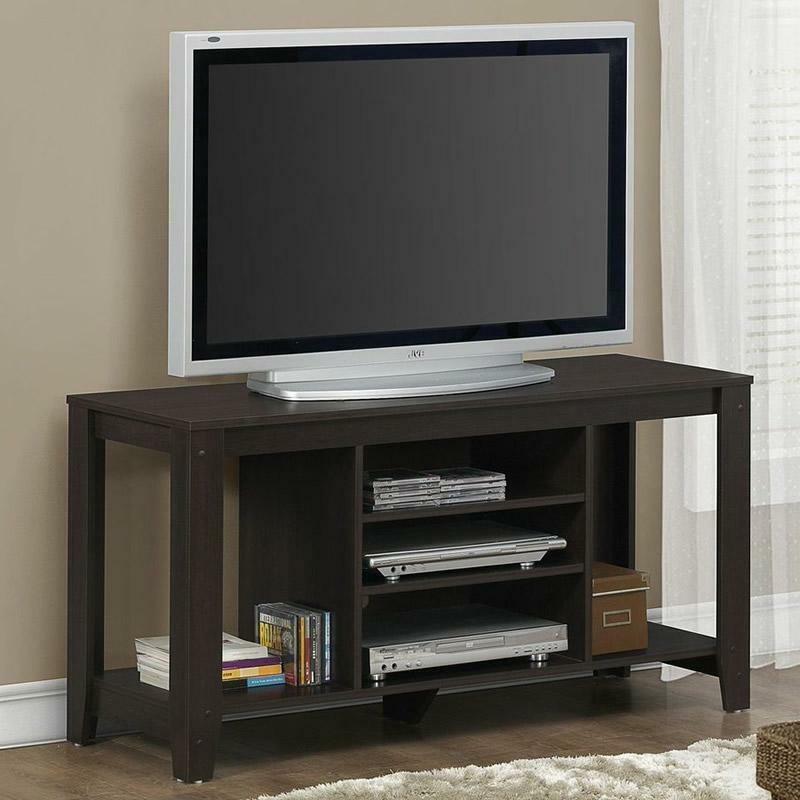 Three open shelves in the center are ideal for placing electronic components, as well as the side shelves are great for storage of movies, games, or decorative pieces. 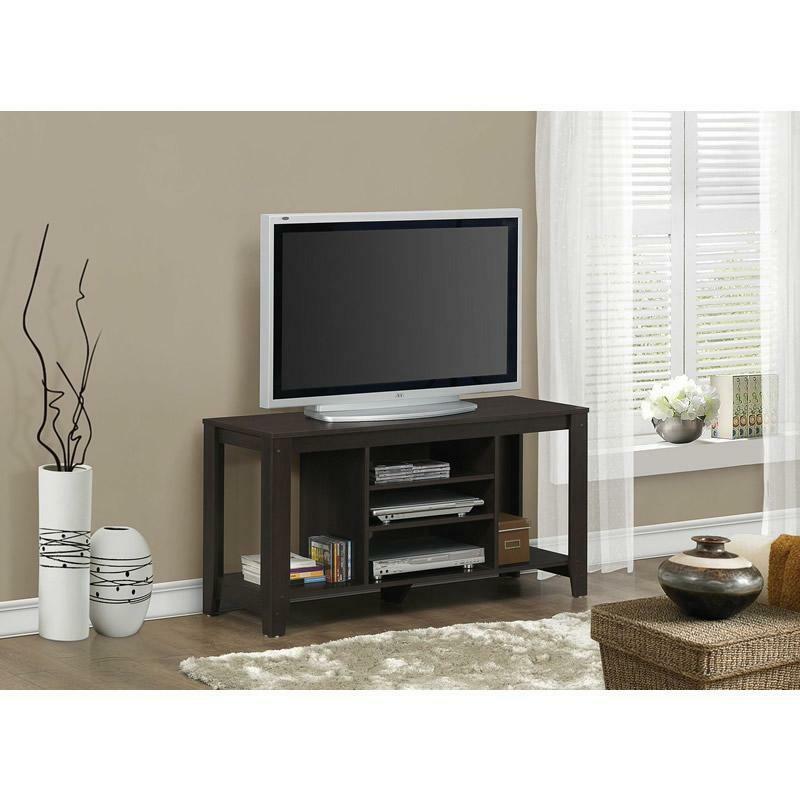 For a perfect finishing touch, this lovely piece is completed with tapered legs, and will blend effortlessly with any decor.